Yesterday ZTE sends latest Android nougat update for ZTE Axon 7. 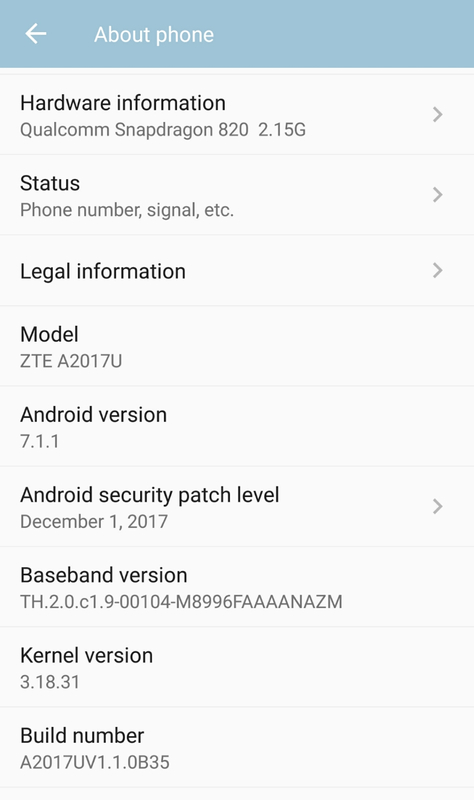 ZTE release latest B35 android Nougat update. The B35 Update is ready to install manually in your ZTE Axon 7 A2017U. 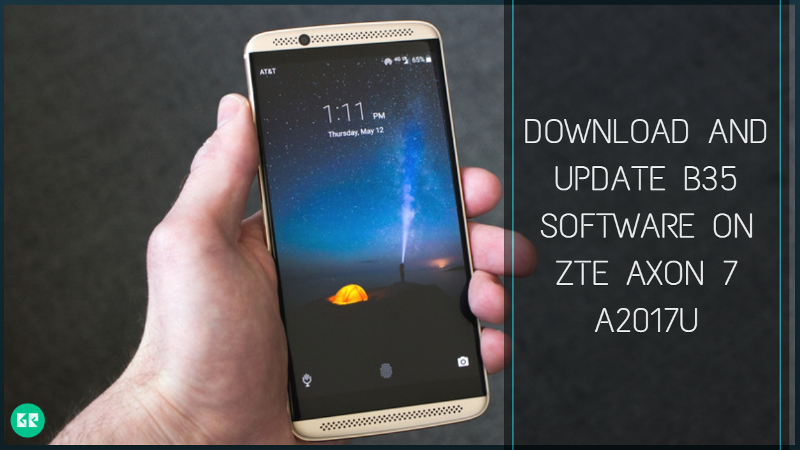 Today we share how to download and update B35 software on ZTE Axon 7 A2017U variant device. Which based on the latest December 2017 Security Patch. This is official stable OTA update. Those people didn’t update your device, here we provide all files to install manually. This update rolling out full ROM and OTA download from below. ZTE middle of previous year launched a new smartphone called ZTE Axon 7. The Axon 7 run 1.6GHz quad-core Qualcomm Snapdragon 820 processor and it comes with 4GB of RAM. Internal storage is 64GB. It has 5.5-inch AMOLED capacitive touchscreen. This device lets you snap brilliant 20-megapixel camera for taking a good picture and 8-megapixel front facing the camera for a selfie. It has a Non-removable Li-Ion 3250 mAh battery. To install this B35 software On ZTE Axon 7 A2017U you need a rooted device with TWRP installed. This B35 brings December 2017 Security Patch also fixed the Blueborne and Wi-FiKRACK vulnerability. B35 software bumps the build number to A2017UV.1.0B35. Official SD card update file is not available at this time but TWRP flashable file provides bellow. 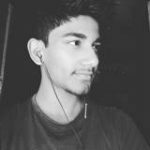 All boot stack and system files which can be flash with TWRP recovery. Either wait some days official OTA update will send in your device. If you don’t get any update then follow this guide to update B35 software On ZTE Axon 7 A2017U. Your device must be running on the stock B35 firmware. Your device must be installed TWRP recovery. Your device at least needs 60% charge for flashing. Download Bootstack.zip and System image file. Copy “update.zip” to the root of the SDcard. In recovery go to ” Wipe And Format Option ⇒ Wipe Data, Cache And Dalvik Cache ” via recovery. Then navigate to the Bootstack zip file, and swipe for flashing. After that flash to install B35 System image. When the process Completes, now again wipe cache & Dalvik cache and reboot your device. Download SD Card Package file. Open settings ⇒ developer options. The developer options are hidden by default. To enable the developer options, select settings ⇒ about the phone and tap build number seven times. Now open developer options ⇒ enable USB debugging option. Open settings ⇒ developer options ⇒ enable OEM unlocking. Now select “Apply update via SDcard”. 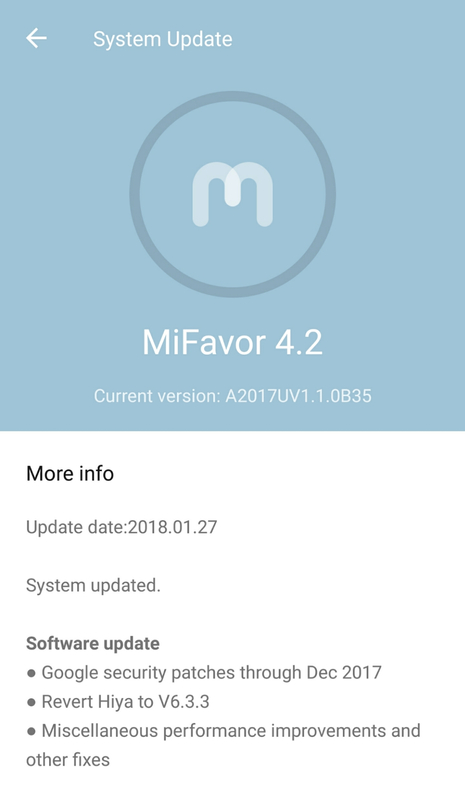 Automatic phone detects update file & flashing will start. After process complete reboot your device and enjoy nougat. Note: The first time it’s takes 8-12 minutes to boot. If you like this post please share this content with your friends.